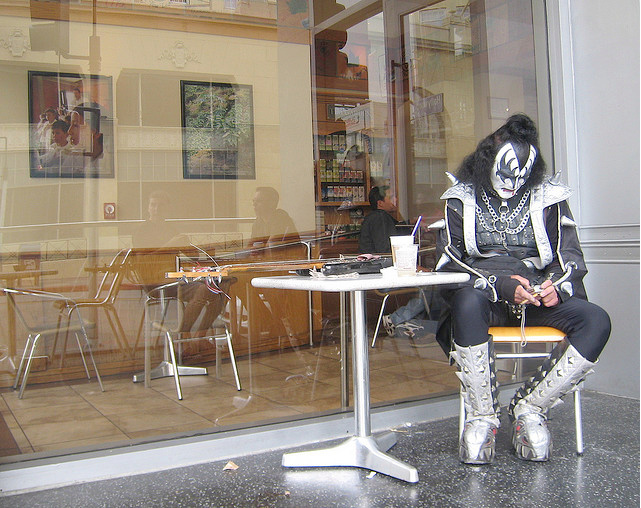 Sad Simmons impersonator takes a break at the Coffee Bean on Hollywood Blvd. 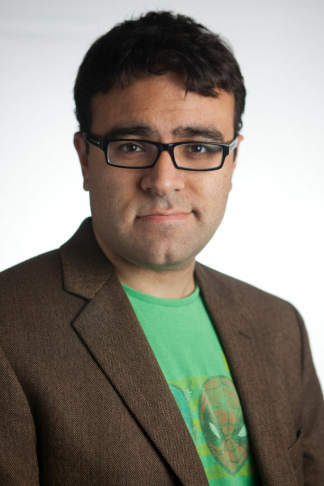 By the looks of his Twitter page, no one bothered to tell Gene Simmons or the band that it's National Kiss Day. Not that kind of "KISS," you say? Well maybe it should be. If Twitter can make up a holiday, so can we. Happy National KISS Day. KISS Then She Kissed Me"